Linseed is not only pressed to high-quality linseed oil but it is also a tasty and healthy ingredient in many baked goods and in muesli. Linseed or flax seeds are the seeds of the flax plant native to western Asia and the Mediterranean. The flat, oblong seeds have a brown or yellow, shiny skin and a slightly nutty aroma. Linseed contains extremely high-quality Omega-3 fatty acids, making linseed oil the vegetable oil with the highest Omega-3 concentration and therefore highly popular. 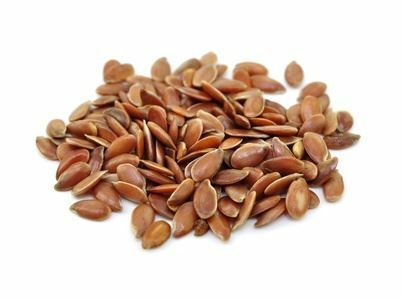 In addition, linseed contains the vitamins B1, B2, B6, and E, folic and pantothene acid as well as muculage, linamarin, lecithin and sterin.